On this album Terah Lynn has seamlessly melded contemporary and traditional, bringing her distinctive "indie classical" touch to time-honored Christmas carols and giving them a fresh new sound. The song list includes beautiful vocal and instrumental arrangements of popular carols such as "We Three Kings", "What Child Is This", and "Angels We Have Heard On High", and gives a unique twist to some lesser-known songs like "Coventry Carol" and "Wexford Carol". Also making its first appearance is "Footprints in the Snow", a delightful new instrumental piece written by Terah. It’s when we’re standing with tired shoulders slumped in the midst of the ugly, crumbling pieces of our lives that we can look up and find the real Beauty shining. This sophomore project from Terah Lynn is a 6-song EP that addresses real life matters in an unflinching yet hopeful way, reminding us that there is so much more than the broken things we see around us, because there is One whose powerful love refreshes, restores, and heals. 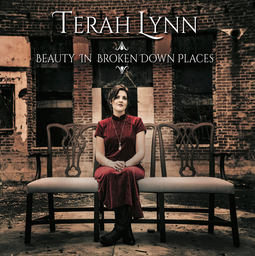 A soothing mix of hymns and original songs, In Simplicity, Terah Lynn's debut album, is predominantly piano and vocals enhanced with beautiful background instruments to create a peaceful atmosphere.